Playing classic bluegrass and old-time music Stompin' Dave & His Bluegrass Band is led by Stompin' Dave "One of the world's greatest performers" according to Maverick on vocals, five-string banjo, and flatfoot dancing. 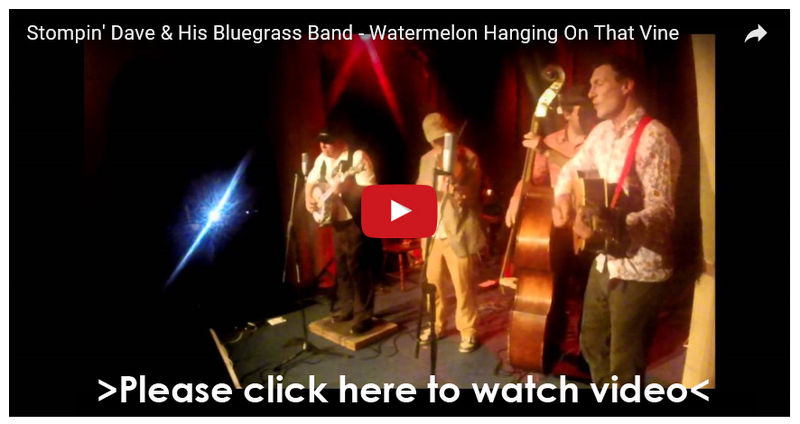 The band also features members of top London hoedown bands Cut A Shine and Kidnap Alice, forming what has been described as a bluegrass super group. 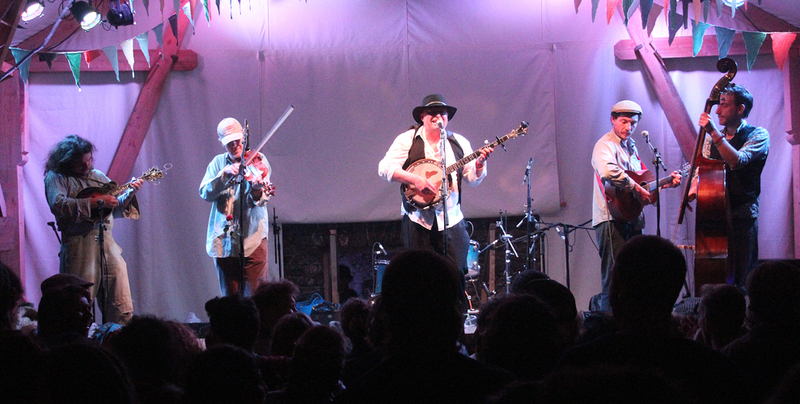 Formed in 2013 Stompin' Dave & His Bluegrass Band has already made many headline festival and concert appearances including National Banjo Day in London, The Tolpuddle Martys Festival, and The Folk Barn at Wilderness Festival. They have also performed at major events such as Glastonbury Festival, Bestival, and Camp Bestival, as well as appearing at The Rotterdam Bluegrass Festival, and The Queen Elizabeth Olympic Park. The group features Hackney based Joe Buirski on double bass, guitar, and banjo, who is not only a great musician but a dedicated promoter of folk and roots music. Joe was founder member of The Magpie’s Nest, BBC Folk Club of 2010. In addition is the amazing talent of Jerry Bloom on fiddle, undoubtedly one of the capitals finest fiddle players and also the ever ebullient Ally McAuley on guitar and vocals. All three were lead members in the Fire in the Mountain Festival team who received the award for "Best New Festival on the Block" at the Association for Independent Festivals Congress 2014. The band has on occasion featured an impressive array of guests and deputy musicians including Joe Hymas "Hippy Joe" who performs with rockgrass legends Hayseed Dixie, young fiddle maestro Kieran Towers, top bluegrass and country bassist Ben Somers, top multi instrumentalist Ed Hicks, Mr guitar Paul Martin, Jenny Wren and Ben Gallon(of Jenny Wren & Her Borrowed Wings and formerly Kidnap Alice), among many others! Photograph by Tomasz Danus permission to use with credit.